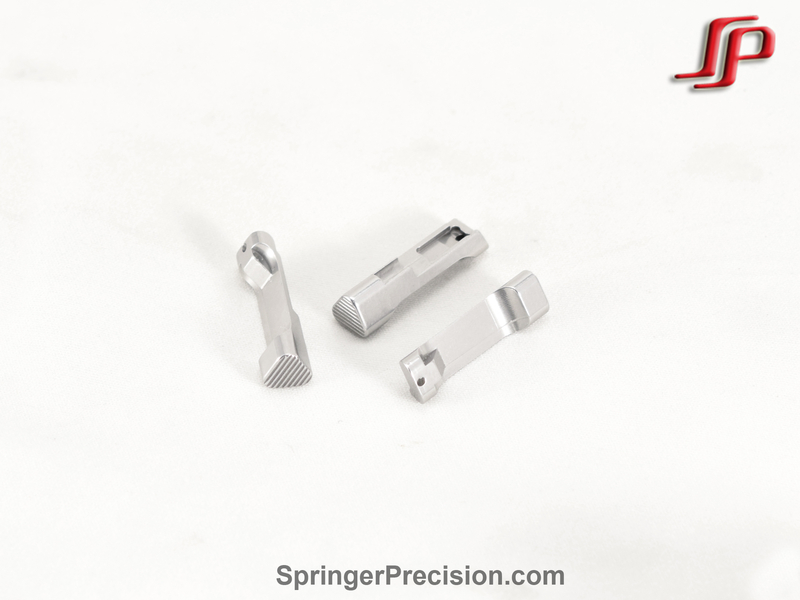 These releases are made from a high strength alloy and hard coated, or 17-4 stainless and match the factory profile per rule 21.6 in the USPSA rulebook. 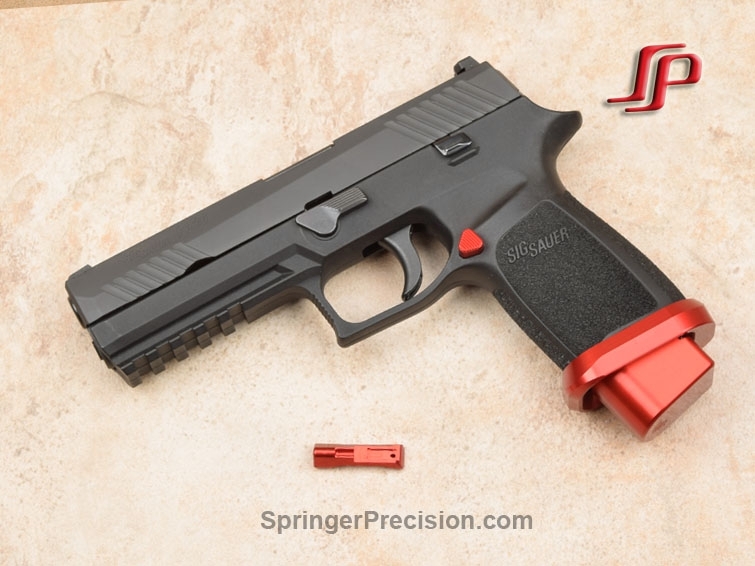 These are a great addition to competition pistols or for those who want a little extra reach so you don't have to shift your grip to drop a magazine. This is extended .1" longer than the factory release and is suitable for carry and competition use. 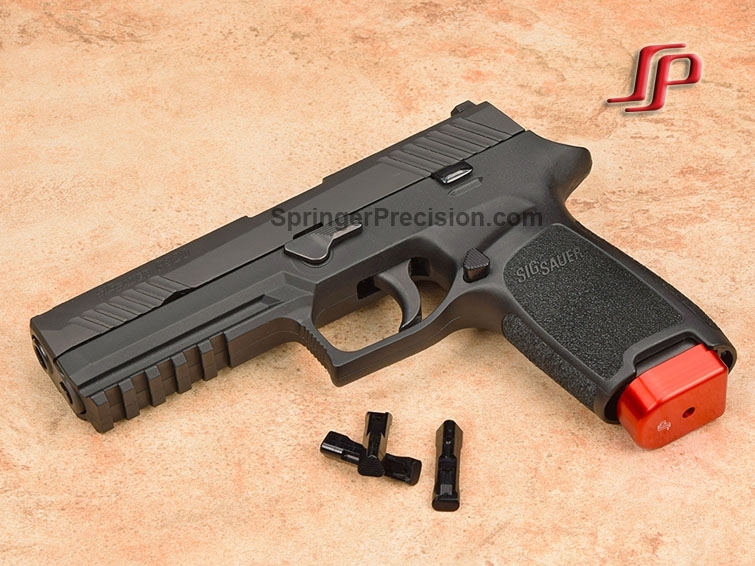 .092oz *USPSA Production, Limited, and Open approved. **Does not fit the sub-compact grip modules or the .45 grip module.